4th floor penthouse! 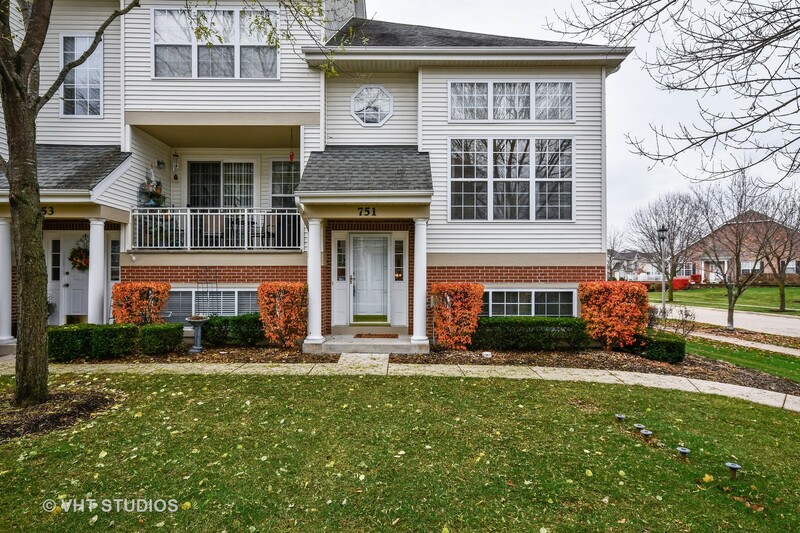 Great 2 bedroom condo in the heart of downtown St. Charles. Across the street from the Blue Goose grocery story this property exemplifies convenience! Restaurants, Shopping & Recreation abounds in this central location. Nice finishes, private balcony & a single car space in the underground garage! Additional parking spot available for purchase. One of a kind opportunity! Ready late 2019. Third level condo in the heart of downtown St. Charles. Condo offers over 2000 sq ft of living space! Listing price is for a cold shell-Unfinished interior. 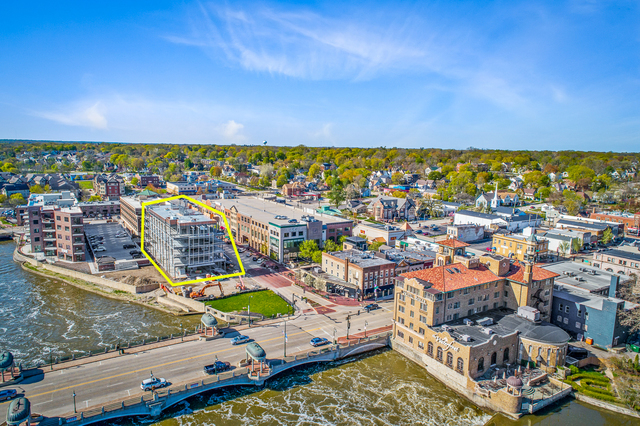 Bring your own builder or use Midwest Custom Homes to finish out this amazing space that offers Fox River Views! Restaurants and shopping right out your front door! Build out cost estimated at $110-125 per Sq. Ft.
From the movement that you enter this home, you feel warmth and elegance. Light and bright open floor plan include dramatic 2 story Living room with wall of windows and vent free gas fireplace. Upgraded Kitchen with granite countertops , glass & granite mosaic backsplash, all stainless steel appliances, vine cooler, separate dining nook and sliding glass doors to patio. Remodeled powder room. Spacious Master suite with tray celling, luxury master bath, walk in closet with custom closet organizer. Large Loft that could be office or converted to 3 rd bedroom. First floor Utility room, 2 car garage, patio overlooking private green space and does not back to Kirk Rd. Great location to all community has to offer. Walk to store/movie/restaurants/Starbuck's/ Cooper Hawk. Freshly painted - nothing to do but bring your furniture and enjoy coming Summer! So much is new in this beautiful and spacious 1st floor condo! Huge family room with fireplace. Bright and open eat-in kitchen plus an additional formal dining area. 3 bedrooms including huge Master Suite with French doors, double vanity in Master Bath with granite counter top plus a walk-in closet. Outstanding screened-in Sun Porch that backs to a park. Family Room and Kitchen each have access to the Sun Porch. Newly carpeted and freshly painted!! Also, recently installed furnace and AC plus all new windows in 2017 and new water heater in 2016. Garage has extra storage! Fantastic location that feels secluded but is just minutes from shopping, entertainment, and highways! Spacious updated 3 bedroom, 2 bath condo with all new: carpet, bathroom floors, fixtures, hardware, oversized base moldings, and painted in today's colors! Living room with fireplace and sliding glass doors opens to 3-season screened porch with floor to ceiling windows and scenic water views!! Kitchen with lots of cabinet and counter space also opens to porch... Dining room with recessed wet bar... 3 nice sized bedrooms! 1-car attached garage with additional storage... Convenient East side location close to shopping, restaurants, rec center, and schools!! Move-in condition!! Can't beat this location: walking distance to the river and downtown St Charles (and all that has to offer - shopping, restaurants, theater). Well-maintained townhouse has two bedrooms and a loft upstairs with a full shared bathroom. Master bedroom has a private deck, large closet and ceiling fan. Master bath has double sinks and a soaker tub. New carpeting on 2nd level and stairs in 2013. Main level includes another full bath, kitchen with Corian countertops and breakfast bar. New stove in 2013. Relax in the living room in front of woodburning fireplace that overlooks the courtyard with gazebo. Go down to the newly painted and carpeted finished basement that has a large storage room with laundry. Townhouse also has 2 car attached garage for extra storage. These townhouses don't come often and don't last long, so come see for yourself what a great property this is!